I often begin writing a post not as a journalist (because I’m not), but as someone who has spent a lot of time selling watches. After initially writing the first few lines of this post, I quickly deleted them because I realized that I had angled them toward telling you how to become a great watch salesperson. That, of course, wouldn’t be of much use to the vast majority of readers. But then I thought what might be useful is to learn how to choose a great watch salesperson when you’re looking to purchase a watch or even get one serviced. So here are my professional tips for choosing the right sales professional for your needs. It’s natural that salespeople want to make sales. But truly great salespeople don’t care if a sale is made the first time you walk in the store or a few months or even years from then. A great salesperson treats you as a good customer, which makes you feel like a good customer even if you buy nothing at all on your first visits. Whether or not I am actually walking into a store to purchase or simply to browse, I always let the salesperson know my intent. Perhaps I am not ready to purchase today, but I am looking to see what watch I may be buying in a few months. I do this to see if the salesperson brushes me off and walks away or wants to build a rapport. If he or she walks away, then I know that the motivation is to only to put some immediate cash in the pocket. If he or she stays and strikes up conversation, then I know the goal is to gain a client. The rapport that is developed in the first 15 minutes is critical. Many of my best friends today were clients before they were friends. I’m not telling you to go into a watch store looking for a BFF. However, purchasing a watch can be a pricey outing, and it should be pleasurable. If a salesperson takes the time to ask some personal questions, showing interest above and beyond the watch are you looking for, it’s a good indication that they want to build a rapport with you. A way to gauge their interest in you is to stop back a week or two later. If you are greeted by name, it’s more than probable they are interested in you as a potential long-term client and not just a quick sale. An even better sign is if you are asked about your dog or the new Harley you’ve been dreaming of (and couldn’t stop talking about). Seemingly the most obvious of criteria, building trust is easily the most critical. One of my first steps to determine the trustworthiness of a salesperson is to ask about a few different brands or watches. If every brand or watch you mention is “fantastic” and “perfect for you,” walk away. Honest objectivity and candidness goes a long way. True story: at an annual watch gala that my store threw every year, a good client named Phil pulled me over to the counter of brand XYZ. Now this was a brand that chiefly offered stainless steel watches that weren’t anything more than purchased movements put into purchased cases with XYZ stamped on the dial. They generally retailed for between $2,000 and $4,000. The sales representative for XYZ was standing nearby with an 18-karat pink gold skeletonized version of one of these “crappy” watches for $18,000 in his hand. Needless to say the brand’s sales rep was not happy. This anecdote only goes to show that you want to buy from someone who’ll tell you when they think a watch isn’t worth the money, even if it means not making a sale that day. You’ll trust them and return many times over in the future. Absence of product knowledge is a no-no in high-end watches! Granted, almost no sales associate knows every detail about the products that he or she sells, but he or she should know a lot of them. The best way to check someone’s knowledge is to ask some questions to which you know the answers. But don’t play stump the salesperson because that’s just rude. Inquire about the finish and whether the movement is in-house (and if not, what caliber does power the watch). Listen for honest answers. The reason that this is the best answer you can hear is because it shows that the salesperson is not going to come up with a BS answer for the sake of making a sale and that he or she is anxious to learn with you. If the sales associate lies in any of the answers to you, walk away. One of my favorite examples of this type of salesmen is a guy I came across while on vacation. Trying to get a sense of his product knowledge, I asked him about the most expensive watch in the store, which was a tourbillon. “What exactly is the purpose of a tourbillon?” I asked. “It is the only kind of watch that will work on the moon,” he answered with pride. It’s a good thing I wasn’t looking to go to the moon or buy a tourbillon that day! This has as much to do with the store as it does the salesperson. Do a few searches online. Consult Yelp or type the name of the store into a search engine along with the word “review.” Quite often you can find out how past and current clients feel about their experiences with the store. In those reviews you’ll often see references to individual salespeople. “Joe was patient, listened carefully to what my wants were, and guided me to the perfect timepiece. If you’re looking to buy a watch, visit Joe!” is an example of what you should be hoping to find. Also, inquire about the store policies. If you’re buying a gift, is there a return policy in case it isn’t the watch the person wants or they desired a stereo system instead? How does the store handle guarantee repairs? These are important things you should know going into the purchase of a new watch. 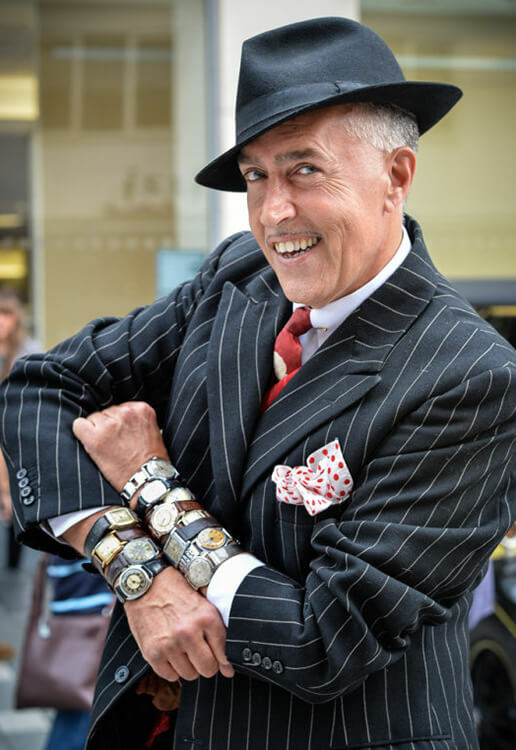 It can often be difficult to find a great watch salesperson. When you do, and after you’ve built that trust and rapport and purchased a watch or two from him or her, write a review on Yelp or maybe a letter to the boss or corporate office. People can be quick to complain and slow to compliment, and I too am often guilty of this. But a great review or praising letter goes a long way toward you getting the best watch you can afford. Please feel free to share your sales stories in the comments below. I agree. This was a great review. Very true. Great story John! Lots of truth in there. Thanks for sharing. The Internet is at your fingertips. An intelligent watch buyer should know the details of any watch they are seriously considering! The Internet is full of information. If I were in the market for a nice watch that I wanted to purchase from a brick and mortar location, instead of online, then I would be seeking knowledge rather than information. I could not in good conscience spend more than I could afford to lose gambling in a casino on a watch bought online. I would also prefer to buy from an authorized dealer for warranty and service issues. No, I am not in the business. Very well written article John. Trust and true knowledge are so important in making a sale and a long time client. Many times it is the planting of the seed that eventually bears fruit. Patience not pushiness wins for me! I am currently 21 years old and just a year ago started to truly learn about watches because someone at a watch shop stopped to talk to me about what they have. Though I have no intention of buying a watch any time soon, I know when I do have enough money to buy one, I will go back and buy my watch from the very person that ignited my love for watches. I had a great watch salesman and then he decided to leave the retail business and start writing for Quill & Pad. A couple of these scenaria are both sad and amusing. If I ever go to the moon, it won’t be without a Tourbillon. As you are a salesperson what about 5 tips for choosing a great watch ? Thank you for the 5 tips choosing a salesperson. I was looking to buy an Panerai watch , I had narrowed the choice down to 3 models , I asked the salesperson his honest opinion of the 3 models , choice 1 , he said , has aspects which aren’t true to Panerai’s DNA , choice 3 , I think the dial is too busy , Choice 2 ticks all of your requirements ‘ , it was also the cheapest of the 3 models I was looking at …..
As a French watch salesman, i thank you for the advices. I agree with every word. If any of you drop by Lyon, stop by the Hermès shop and ask for Delphin. I’ll welcome you warmly!